I recently wrote a story on my blog (vincentmistretta.com/blog/new-species-in-my-yard) about seeing and photographing a new species in my yard. 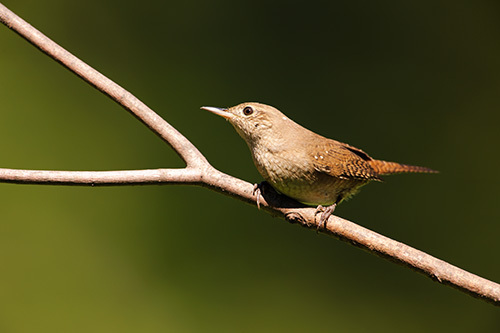 That species was was a House Wren. There is nothing like the exhilaration associated with this experience. After the post, I received an email from a reader asking how close I was in order to make these images? He knew of my own standard of not cropping or photoshoping my wildlife images. (The only images I apply post processing to are artistic in nature, like landscapes). I told the reader I was about 12' from this branch which is the mfd (minimum focusing distance) for my Nikon 600mm f/4. The question in his followup email is the basis for this post. So here is the question; How do I get that close? Here are my tips for getting close to the birds. 1) Try to have something between you and your subjects, like a fence or a shrub. It usually makes the birds more comfortable. 2) Wear dark clothes. Try to avoid anything reflective or shiny. 3) Remove straps from your camera. To a bird they look like talons hanging from a predator. 4) Once you find your spot, stand still and be patient. You may have to wait 30 minutes before birds will return to the feeder. The great thing about this tip is you get to just enjoy the birds, weather and your surroundings. 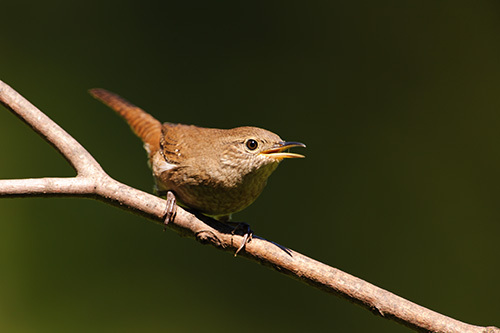 5) When the first birds return, continue to stand motionless, don't attempt to photograph the first birds. Realize that the tips I have here are general. I have found over the years that these work consistently for me. But I must admit that I have to make some adjustments depending on the species I want to photograph. In particular, Cardinals and Blue Jays prefer I am further away from the feeders than say Tufted Titmice or House Finches. What I usually do in this regard is to start close to the feeders and then retreat to a location further away. The only way you will know is by trial and error. But that is what makes it fun! Nice tips Vinnie. In my backyard bird photography, I also try to stay in a shadow, either natural, or in the shadow of a blind I have created. It seems that my little movements are less noticeable to the birds. Using a camo do-it-yourself photo blind, I've been able to get within a couple feet of the feeder without the birds getting spooked. You are spot on about that 30" wait after setting up. Some birds will quickly come back like chickadees and house finches, but others need that half hour to get their confidence back. Fun stuff! Interesting tips Vincent, particularly about the straps--I'd never thought of that. Lovely pictures as I commented on your blog! 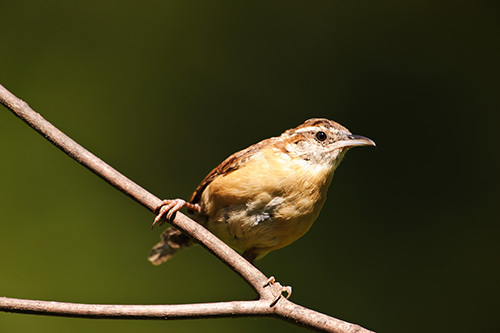 Since these birds are insectivore, would you offer meal worms in the feeder? I can only say that you are a very patient man! Good tips and great shots!